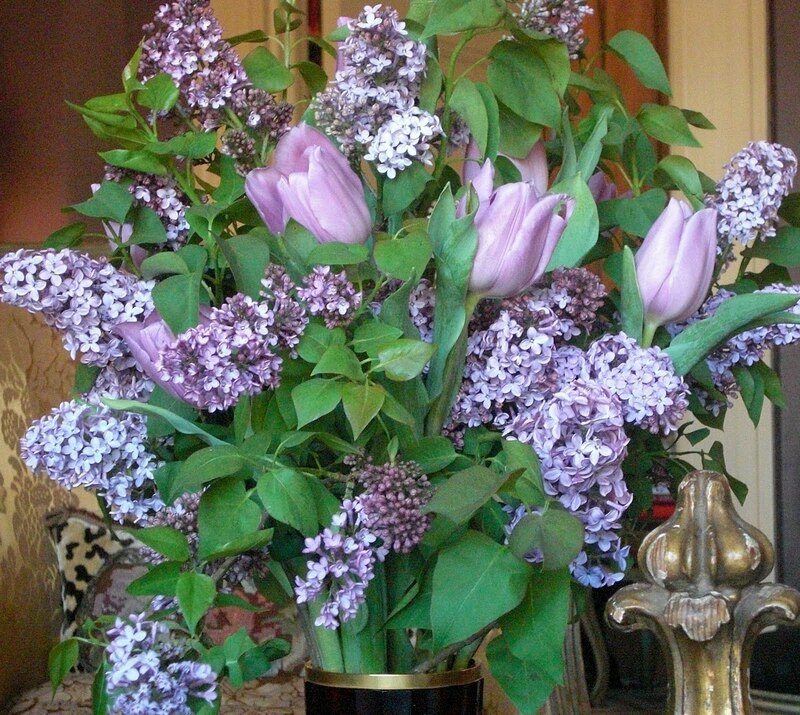 After roses, lilacs and tulips are two of my favorite flowers. To me they are the embodiment of all the wonders of spring. 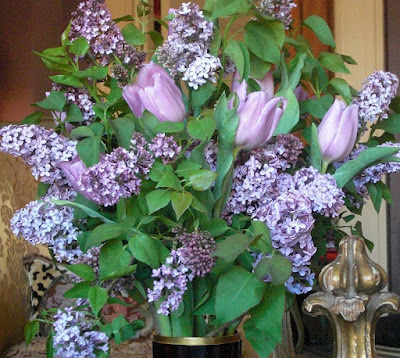 Where I grew up, it was truly spring when the little village would smell of lilacs for days on end. I am totally obsessed with this arrangement that Thomas did for the coffee table. 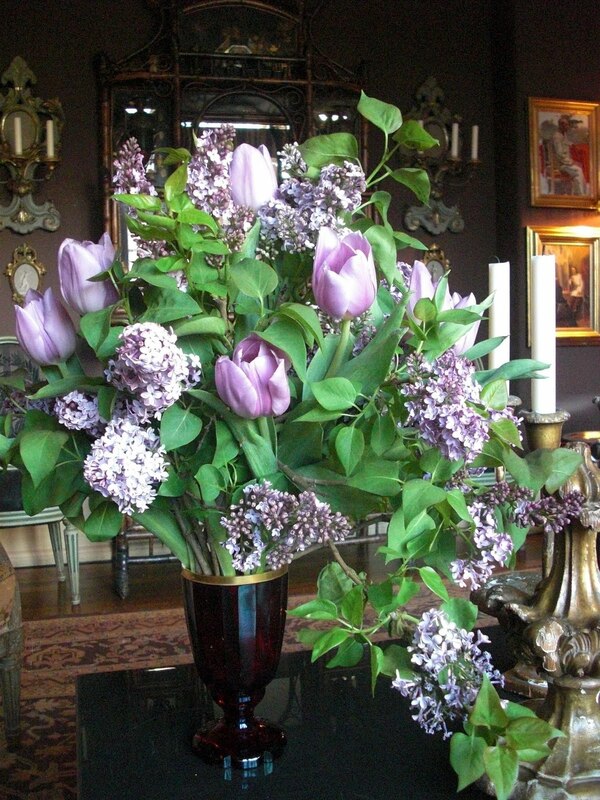 Lilacs and tulips in shades of lilac bien sur.